This week marks the one-year anniversary since the passing of Leonard Nimoy, who lost his battle with COPD. 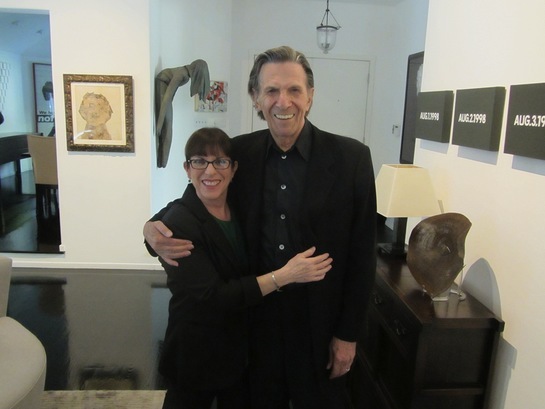 His daughter, Julie Nimoy and her husband, David Knight, are determined to continue his “final mission” to raise awareness for chronic obstructive pulmonary disease (COPD), by producing a new documentary called, “COPD: Highly Illogical: A Special Tribute to Leonard Nimoy”. “The film is going to be an intimate look at my father’s life, legacy, and his final years advocating for greater awareness around COPD,” Julie Nimoy said. “My Dad felt an urgent responsibility to educate people about it, frequently tweeting and speaking about the disease and its causes.” Our goal, as Dad’s was, is to reach the millions of people throughout the world who have the disease but sadly, do not know it. 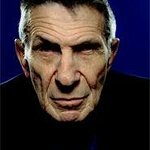 The couple launched a crowdfunding campaign on Indiegogo last month to raise the additional $150,000 required to produce COPD: Highly Illogical – A Special Tribute to Leonard Nimoy. Julie and David are hopeful they will secure the funding by mid-March so that the film can be released near Star Trek’s 50th anniversary later this summer. The immensely popular series aired its first episode on September 8, 1966. COPD affects over 30 million Americans and is America’s third leading cause of death. Sadly, over a third of these Americans suffer the symptoms of the disease – coughing, wheezing, tightness in the chest and breathlessness – without ever being diagnosed. This, as Spock would say, is “highly illogical,” since early detection and treatment can reduce suffering and extend lives. For more information, to view the documentary film trailer and to link to the Indiegogo funding page, go to www.copdllap.com. For a direct link to the funding page, click here.